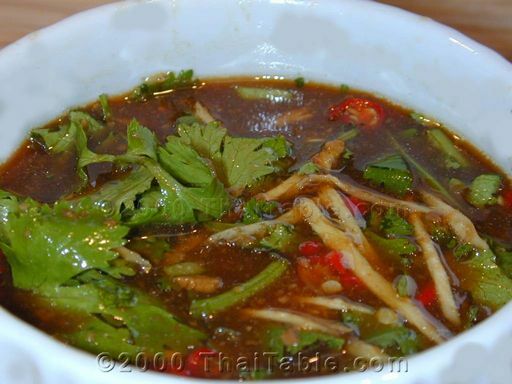 For kids and those who are not so fond of spicy sauces, sweet dark soy sauce is served with the chicken instead of this sauce. 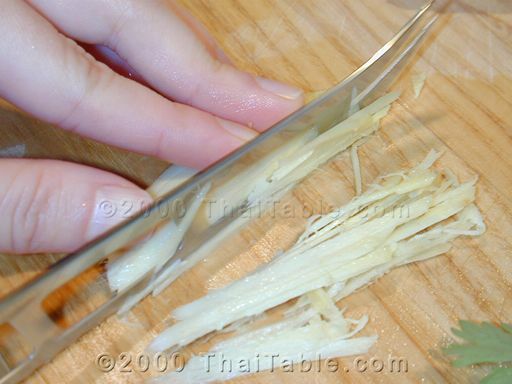 Peel a piece of ginger, about 2 inches long. 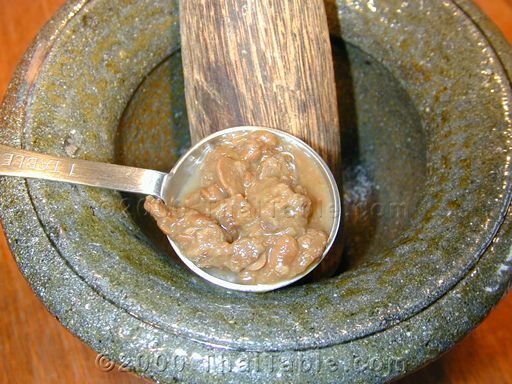 Ground the ginger in mortar or blender or julienne the ginger. 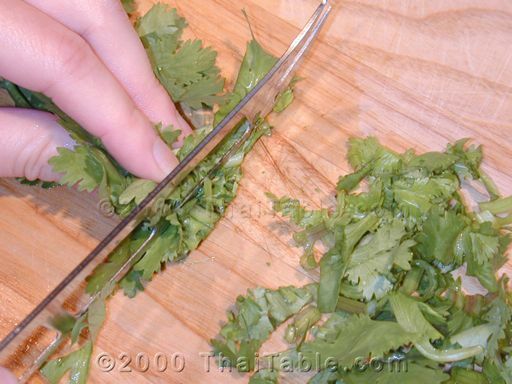 Slice Thai chili pepper and cut the cilantro. Garlic is optional. Last time, I made this dish with my mother, she recommend adding chopped garlic. It tasted good. But I'll leave that up to you. Combine all ingredients. 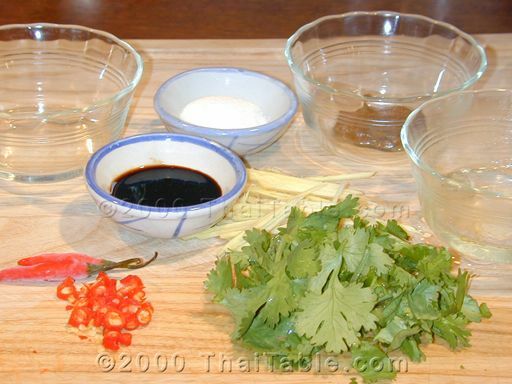 Serve in a small bowl with Kow Mun Gai.